UC Santa Cruz ranked No. 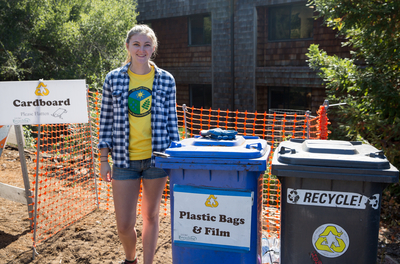 7 in The Princeton Review’s first list of the top 50 green colleges. The campus was the only UC in the top 10. The top spot is held by College of the Atlantic in Bar Harbor, Maine. The Princeton Review said it developed the ranking list using data from its institutional survey for its green rating and its surveys of students attending the colleges. Ten data points from the institutional survey were factored into the assessment. Data from the student survey included student ratings of how sustainability issues influenced their education and life on campus; adminis­tration and student support for environmental awareness and conservation efforts; and the visibility and impact of student environmental groups. The campus is also included in the 2016 edition of the The Princeton Review Guide to 361 Green Colleges. The guide was first published in 2010.